Based on the latest rumors, we expect Apple to come out with three new iPhones this year. The cheapest model will sport a 6.1-inch LCD screen with slim bezels. A second one will be like an upgraded iPhone X. 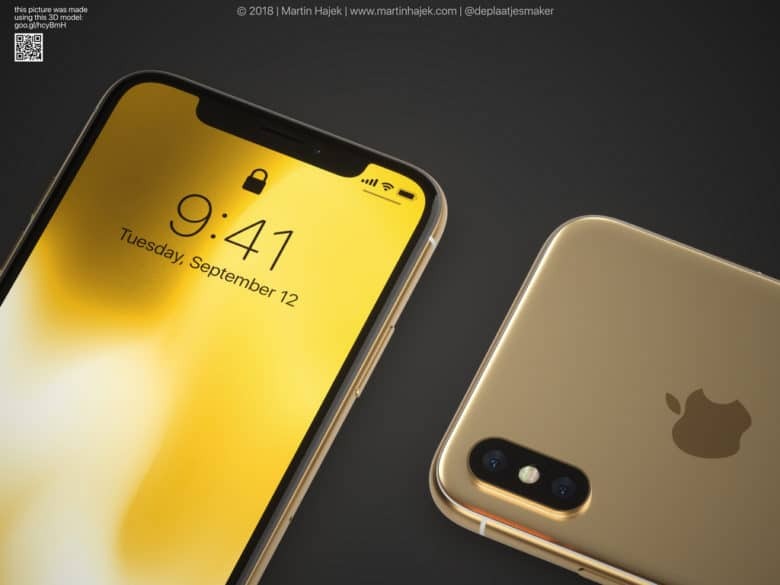 A third 2018 iPhone model should boast a 6.5-inch OLED screen (basically an iPhone X Plus). CNet took at look at iPhone announcement dates from the last six years to come up with a pretty solid guess about when the 2018 iPhone event will go down. Apple typically holds its events on a Tuesday or Wednesday. Usually, the keynotes don’t happen later than the second full week of September. That leaves the following possible dates: Tuesday, Sept. 4; Wednesday, Sept. 5; Tuesday, Sept. 11; and Wednesday, Sept. 12. Labor Day falls on Monday, September 3, this year, so it’s unlikely that the 2018 iPhone keynote will happen during the first week of September. Hosting the event on September 11 or 12 seems the most likely. Most companies want to avoid the news cycle of 9/11 for obvious reasons, so September 12 will probably be the big day. That’s the exact date Apple unveiled the iPhone X last year and the iPhone 5 in 2012. If that date proves accurate, the in-store launch of the new iPhones likely would occur on Friday, September 21. Of course, Apple could always change things up and announce the new iPhones later in the month. However, revenue guidance from yesterday’s earnings call seems to support the idea that the iPhone launch will happen at the end of Apple’s fiscal Q4, providing big revenue boost to please Wall Street.